Famous American novelist John Updike often spoke about the game of golf during his career as a writer. Never beating an 18 handicap, he gave many famous lines surrounding his frustrations on the golf course, once admitting, “The golf swing is like a suitcase into which we are trying to pack one too many things.” This sentiment rings true to players of all skill levels. We often wonder how we can improve our game as we continue to age. What kind of “suitcase” do we need to hit the right shot? Or maybe more importantly, where are some of the best golf locations to retire so we can finally devote our time to this wonderful sport? Despite Updike’s struggles with golf, he still held an undying passion for the game…and for good reason, “What other sport holds out hope of improvement to a man or woman over the age of fifty? And that hope, perhaps, is the kindest bliss of all that golf bestows upon its devotees.” Golf is certainly not a forgiving sport, but it at least gives its players a glimmer of faith, a belief that with more play comes greater reward. Fitness: As detailed last week's blog, Healthy Hobbies for Retirement , staying fit is absolutely key to maintaining a balanced swing. Since flexibility is such a crucial aspect of the game, it is important to keep up a regimented exercise schedule that can include any of the following: running, walking, swimming, yoga, etc. These activities will increase muscle strength and endurance which are key aspects to the game. Social circles: This one may seem obvious, but most avid players would agree that golf is more fun when playing with people that you enjoy being around. This could include friends, family, or old business colleagues. It is therefore important to make sure that you are living near people who are likeable and share the same passion for the game. This will also make it easier to coordinate tee times while allowing for an easier commute to the course. Location: Location, location, location… Yes, you’ve heard this phrase a thousand times, but ever in the context of a golf course? 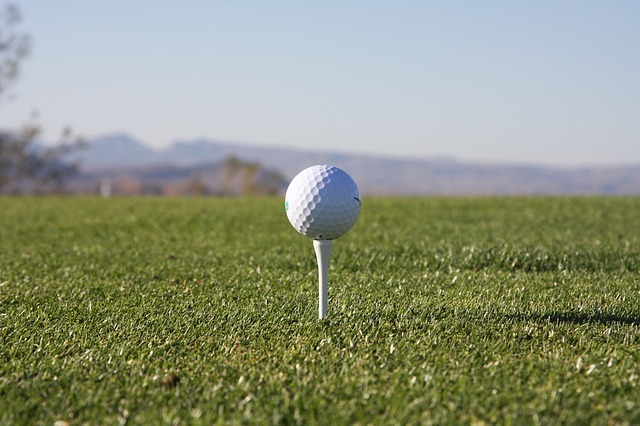 Most enthusiasts who are getting ready for retirement carefully plan the location of their new home to ensure that it lies near a golf course…or sometimes literally right on one! Fortunately, there are many cities in the U.S. that are absolute golf havens for retirees, offering multiple private and public country clubs to play at year round. •Shorten the Game: Try playing 9 or 12 holes if the full 18 becomes too long or wears your body out. A seemingly endless five hour ride can quickly become a short, fun two hour experience. Also, try moving up a set of tees if you have not done so already. This will give you more opportunities to score better and will generally make the game much more enjoyable. •The “19th hole”: As we have confirmed, golf can be an incredibly stressful game, and most of us, regardless of skill level, will have plenty of frustrating rounds up until the time that we eventually retire from the sport (hopefully never). It is the therefore important to have an activity to look forward to AFTER the round is complete. This could be anything from a group meal to a dance or a concert within the facilities of the clubhouse. Undoubtedly, the game of golf is one of the more popular hobbies for retirees, and considering roughly 15% of the Baby Boomer population currently plays the sport, we should expect a huge surge in the number of “John Updikes” creating their own stories of agony on the course. Although you will undoubtedly face plenty of challenges both on and off the course as you continue to grow older, understand that there are ways to alleviate a lot of the stress associated with the game while at the same time improving your handicap and your social life. So pack that suitcase with only the items that will make you happy. The eRetirements Blog brings you a mix of retirement planning information, current events, and fun ideas for life after 55. Our community of readers and writers believe innovation and information are the keys to disrupt aging. © 2015-2017 eRetirements. All rights reserved. © 2019 The RetireWire. All Right Reserved.